For over forty years we have been able to offer a full refurbished floor cleaning machine facility at our factory which offers a great saving on capital cost. 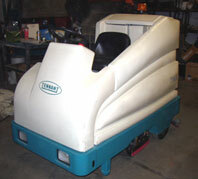 We offer a large range of fully refurbished scrubber dryers both pedestrian and ride-on machines. Alternatively we could rebuild or ‘tidy’ your own equipment. All of these machines come with at least a 12 months warranty on parts and labour. This will be of particular interest to cleaning contractors who operate tired machines and due to uncertain contract periods may wish to protect their budgets. 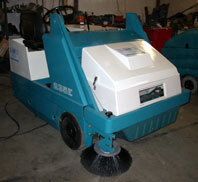 Enquire About Our Scrubber Dryer Reconditioning services Today! To enquire about buying reconditioned Scrubber Dryers, or should you need one or more of your floor cleaning machines reconditioning, then simply contact Floor Care 24/7 today.